Cynthia Kumanchik is a public relations and marketing professional based out of Pasadena, California. After spending time in the healthcare, entertainment, and computer industries, she began writing young adult and women’s novels. Kumanchik received her degree in journalism from the University of Missouri-Columbia. 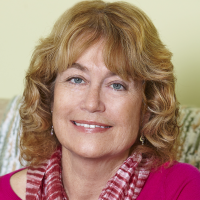 She is also a member of the SCBWI and Pasadena Area Writers Society. For more information about her work, she invites you to visit her at www.cynthiakumanchik.com or @Ckumanchik.